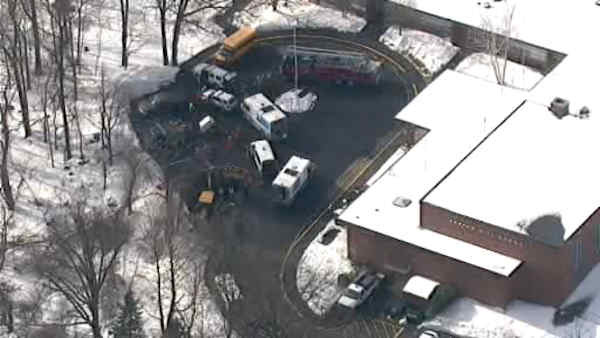 TARRYTOWN (WABC) -- A school in Westchester County was evacuated Tuesday morning because of a gas leak. The school building in Tarrytown is leased out to a county service for special needs children. Officials say a backhoe ruptured a gas line outside of the building, prompting approximately 50 to 60 students and 20 to 30 staff members to be evacuated as a precaution. All students and staff from the regional programs were sent to EF International Language Center on Marymount Avenue.